Training camp for young musicians "Bändkämp 2010"
A four-day camp was organized during which young musicians formed bands, created their own entirely original songs and performed them to an audience. Overall the activity encouraged young people to connect with their local region's identity. The idea for the project arose from the wish to offer a new and exciting opportunity to young people who have an interest in music. This would hopefully be interesting for them and would encourage them to further participate in activities in their community. 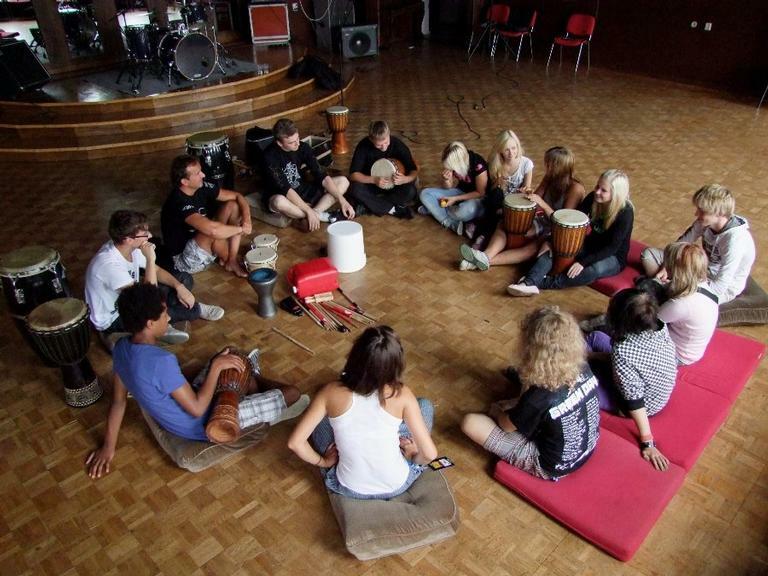 The aim of this project was to: - offer an experience in which young people could meet others and participate in enjoyable and creative activities; - form links between the young people and the local identity through the use of the musical creative camp. The activity of the project was a four-day training camp. The young people at the camp had the opportunity to play an instrument and improve under the supervision and guidance of the organisers and professional musicians as they formed bands and created a new song with their own original lyrics and music. On the third day an outdoor concert was put on where the newly formed bands performed their own songs to others. The project has shown that when young people are involved and motivated their engagement can lead to the generation of new (and not originally planned) ideas and activities.